Two more British hostages held in Iraq are “very likely” to have been killed by their captors, meaning four of a group of five Britons seized in May 2007 are now dead, the UK prime minister has said. Gordon Brown said his government was “doing everything that we can” to gain the release of Peter Moore, the final hostage, whom he believed to still be alive. The four hostages were all working as security guards for Moore, who was employed as a contractor in Iraq, when they were kidnapped two years ago in the Iraqi finance ministry by around 40 heavily-armed fighters posing as security personnel. In a statement, Brown said: “I can confirm that on July 20, with great sadness, the government informed two families of those British men kidnapped in Iraq that Alan McMenemy and Alec MacLachlan, two of the three hostages still held, were very likely to be dead. The bodies of two of the four victims were handed over by their captors to the Iraqi government in June. Sami al-Askari, a legislator in the governing Shia Muslim alliance, who is close to Nouri al-Maliki, the Iraqi prime minister, told the Reuters news agency that McMenemy and MacLachlan were definitely dead. Askari said it was not clear when the bodies of the men would be returned. “Two of them have been handed over and there are efforts being made by the government with the abductors to release [the bodies of] the others,” he said. Askari said all four were killed at the same time and also said that Moore was believed to still be alive. The families of the five men said in a statement they were distressed to hear the news that two more of them had been killed. “We are all deeply upset and troubled to hear the reports that Alec and Alan have died in the hands of their captors, as well as Jason Swindlehurst and Jason Creswell,” they said. Since the Britons were seized two years ago, several videos of them in captivity have emerged. In February 2008, a video featuring Moore was aired by the Dubai-based Al Arabiya television in which he called on Brown to free nine Iraqis in return for the hostages’ freedom. Britain joined the United States in invading Iraq in 2003. The Congressional Research Service has found that the Defense Department was paying far higher premiums to insure civilians working in war zones than either the State Department or the U.S. Agency for International Development. The insurance is required by the Defense Base Act  and provides medical care and disability benefits for those injured while working under U.S. contracts overseas. Pentagon contractors negotiate rates individually with insurance firms, while the other agencies use a bidding process to set a blanket rate. The report  (PDF), obtained by ProPublica, found that it was nearly impossible to determine why premiums were set so high for the Pentagon. The agreements between the carriers and individual contractors are private, even though taxpayers pay the premiums. And while the Labor Department oversees the system, it has no power to investigate rates. In the past, both the Government Accountability Agency  (PDF) and the Army Audit Agency  (PDF) have questioned whether insurance carriers such as AIG charged the government too much for the policies. It is “difficult to assess what factors are currently used to set current DBA premiums,” the analysis said. AIG says its rates are fair and notes that they have declined over time. The report acknowledged that it might be difficult to find a single insurance carrier to cover all the contractors for the Pentagon, which employs far more civilian workers than any other agency. It raised the possibility that the government might save money by simply taking over the system. The Defense Base Act already requires the government to reimburse insurance carriers for costs incurred when civilian contract workers are injured in combat. By taking the system over, the government would cut out the middleman, the report said. “There are several potential advantages to having the federal government self insure,” the report said. The Congressional Research Service produces non-partisan analyses for Congress on policy matters. One of the possible advantages is quicker payment of claims. The report pointed to a congressional hearing  in June prompted by investigations  by ProPublica, the Los Angeles Times and ABC News finding that carriers routinely denied claims for injured workers. At the hearing, the Labor Department’s deputy secretary, Seth Harris, acknowledged “extensive and troublesome” flaws in the system. The current system, the CRS report found, “can cause delays for claimants, including claimants with clear (war injury) cases that will eventually be paid” by the federal government. The Defense Department is expected to weigh in on suggestions for reforming the system later this summer. When President Obama meets Filipino President Gloria Arroyo at the White House this Thursday, terrorism will be at the top of the agenda. But one of Arroyo’s political opponents wants to add an item for discussion: the treatment of Filipinos injured or killed while working for the U.S. in Iraq and Afghanistan. In a letter released Monday  (PDF), Filipino Senate Minority Leader Aquilino Q. Pimentel Jr. urged Arroyo to ask Obama to help injured Filipinos receive benefits that they are due under a federal workers’ compensation system for civilian contractors in war zones. The system, required by a law known as the Defense Base Act , provides for medical care and disability payments for civilians injured or killed while working under federal contract, regardless of nationality. Thousands of Filipinos work for U.S. forces in Iraq and Afghanistan, generally in menial jobs such as cooking and cleaning. Scores have been injured or killed. In his letter, Pimentel cited the results of a recent investigation  by ProPublica and the Los Angeles Times that found that the employers of foreign workers often did not report employee deaths and injuries. In addition, major insurance carriers such as AIG were offering small sums to settle claims of foreign workers. U.S. taxpayers ultimately pay the premiums for the insurance policies, which are included as part of the price of federal contracts. AIG said that it took “extraordinary measures” to pay the claims of injured foreign workers and that the “vast majority” of properly documented claims were paid. Pimentel mentioned several cases of Filipino workers killed in Iraq and Afghanistan who had yet to receive benefits. He noted that the Filipino subsidiary of AIG, Phil-Am Life Insurance Corp., did not report substantial losses during the economic meltdown that forced AIG to turn to the U.S. government for a bailout. “To the best of my information, the wounded workers and/or the heirs of those killed have applied for the benefits but the insurance companies like the American Insurance Group (AIG) have either rejected the applications or have offered token sums,” Pimentel wrote. Gines Gallago, a spokesman for the Philippines Embassy, said that the agenda was still being finalized and that no decision had been made as to whether to bring up the issue. The White House did not immediately return calls for comment. WASHINGTON — The government has kept a closer eye on U.S. contractors in Iraq since a deadly 2007 shooting by Blackwater guards, but it still needs to do a better job tracking and investigating when private security guards fire their guns, two new Pentagon audits have found. The reports were released Tuesday by the Pentagon’s special inspector general for Iraq reconstruction. They looked at the oversight of at least 13 U.S. firms working for the Defense and State departments between May 2008 and February 2009. In perhaps the most serious lapse of oversight, one of the audits concluded, contractor watchdogs did not properly report and track the May 2008 death of an Army Corps of Engineers employee who was caught in a gunfight between security guards and al-Qaida suspects near Bayji, in central Iraq. Pentagon auditors said the employee’s death should have been recorded in a database and triggered an Army investigation. U.S. officials in Iraq, however, said that was unnecessary if “the incident is caused by the enemy and does not involve a local national,” the audit found. “Because of the lack of documentation, we could not determine if the incident was not investigated for the reasons cited by … officials or there simply is no record of an investigation,” the audit noted. In all, contractor watchdogs did not record five out of 109 incidents where private guards fired their weapons during the 10-month period, the audit found. Moreover, the watchdogs’ database did not have evidence supporting 51 percent of the incidents reported. Responding, the military’s Armed Contractor Oversight Branch in Iraq reported that it now tracks all serious incident reports of contractor shootings in its database, including 44 between February and June. The reports ranged from 25 accidental shootings and the killing of a poisonous snake to 17 so-called “graduated force response” incidents that escalated into shootings. Of those 17, three have been referred for investigation, auditors found. The second audit found that new rules for contractors that were put in place after the 2007 Blackwater shootings generally have helped oversight and coordination between private guards and the military. Seventeen Iraqi civilians died in the notorious Blackwater shootings in Baghdad’s Nisoor Square, an incident that strained U.S.-Iraqi relations. Blackwater is no longer operating in Baghdad, although it still has guards in some southern areas who are working under the company’s new name, Xe. Five Blackwater guards have pleaded not guilty in the shootings, which Justice Department prosecutors say was an unprovoked attack on civilians. The guards’ lawyers, however, say the five men believed they were under attack and acting in self-defense. A sixth Blackwater guard struck a deal with prosecutors and pleaded guilty to killing one Iraqi and wounding another. WASHINGTON — The Defense Department’s Inspector General has determined that military leaders and a military contractor failed to protect a Green Beret who was electrocuted while showering in his barracks in Iraq. 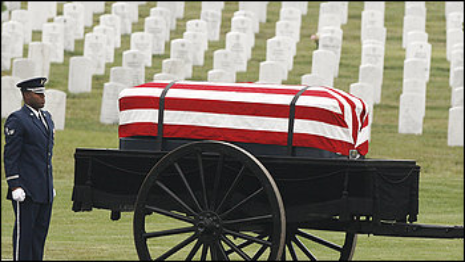 The 2008 death of 24-year-old Staff Sgt. Ryan Maseth has triggered investigations into the other electrocution deaths of U.S. troops and the review by the Defense Department’s IG. The inspector general says that “multiple systems and organizations” failed and exposed Maseth to “unacceptable risk.” That’s according to a summary of the IG’s findings obtained by The Associated Press. It specifically spells out that KBR Inc. installed improperly grounded equipment that faulted and led to Maseth’s death. DynCorp International, a major government security contractor, is strengthening its ethics practices in the wake of government investigations of its programs in Afghanistan and other conflict zones. One effort to train Afghan civilian police has drawn attention from the State Department’s inspector general following incidents of questionable management oversight, including one instance in which expatriate DynCorp employees in Afghanistan hired a teenage boy to perform a tribal dance at a company farewell party and videotaped the event. WASHINGTON — U.S. military authorities in Afghanistan may hire a private contractor to provide around-the-clock security at dozens of bases and protect vehicle convoys moving throughout the country. The possibility of awarding a security contract comes as the Obama administration is sending thousands of more troops into Afghanistan to quell rising violence fueled by a resurgent Taliban. As the number of American forces grow over the next several months, so too does the demand to guard their outposts. Defense Secretary Robert Gates has said he wants to cut back on the use of contractors that now provide a wide range services to American troops in war zones, including transportation, communications, food service, construction, and maintenance. As recently as February, however, Gates called the use of private security contractors in certain parts of Afghanistan “vital” to supporting U.S. bases. A contract for the work also creates job opportunities for Afghans, he said. But the use of private contractors in Iraq has been highly contentious. Since a September 2007 shooting of Iraqi civilians in Baghdad by guards employed by Blackwater (now Xe Services), critics have urged U.S. officials to maintain much tighter controls over hired guards. The Washington Post reported Saturday that the Army published a notice July 10 informing interested contractors it was contemplating a contract for “theater-wide” armed security. “The contract would provide for a variety of security services, to include the static security of compounds on which U.S. and coalition forces reside, and for the protection of mission essential convoys in and around forward operating bases located throughout Afghanistan,” the notice states. No formal request for proposals has been issued. If the military decides to move ahead, a contract could be awarded by Dec. 1.
connection with a criminal investigation being conducted by the government there,according to attorneys for the two men. Both are hoping to get clearance soon to leave the country. While being held, her husband’s passport disappeared, his credit cards were stolen and used, his computer taken, and his other ID cards are now nowhere to be found, she said. MANILA, Philippines–(UPDATE) The Department of Foreign Affairs (DFA) has confirmed the identities of the ten Filipino workers killed in the helicopter crash in Kandahar on July 19. The employer of the Filipino workers, United States-based construction firm The AIM Group Inc., furnished the names to the DFA after their families have been informed of the incident. Your place to share information and discuss issues that effect Civilian Contractors working overseas on US Government Funded contracts.